GREENARCH architecture+environment sprl has created a design for the offices of Core Equity Holdings located in Brussels, Belgium. Core Equity Holdings, a highly differentiated investment advisor aiming to provide patient capital to a handful of platform companies in Europe decide to enlarge their office on the 21st floor on avenue Louise. The architectonic and interior design project of nine hundred squared meters (900 sqm) is the result of the collaboration between Greenarch and Barbara De Prest decorator. The design is born from a floor plan, which collides into one of the best views of the city 360º. The project presents a design of spatial cleanliness that masterfully resolves all of the clients’ needs. Designed to inspire creativity and collaboration among client’s growing team, Greenarch created an open office layout, comprised of communal workspaces and individual closed offices. A break out room was also installed and furnished with couches and tables to foster collaboration, conversation and team-building among employees. Additionally, two glass-walled conference rooms were added and outfitted with the latest technologies. 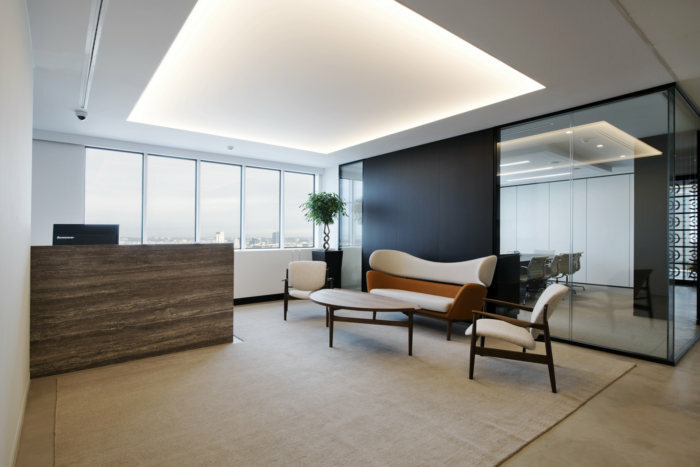 To create a bright and airy workplace, Greenarch used a monochromatic palette that leverages the office’s natural light. In addition to the tonal neutral color, the interior designer incorporated bold black and white elements to make the space feel crisp and clean.